For decades, doctors have staunchly opposed the idea that pharmacists should be trusted with greater responsibility. They worry is that pharmacists will steal business away from their offices as patients visit pharmacies for services that doctors have provided. – Expand patient access to medication. In May, Washington became the first state to require that health insurance companies consider pharmacists as healthcare providers alongside doctors and nurses. 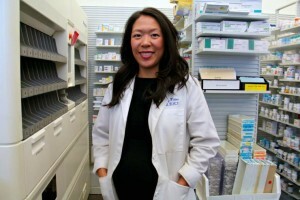 Already, pharmacists in Washington have provided clinical services that fall outside the scope of dispensing pills to 5 million patients in the past 15 years — but weren’t directly paid. The idea of allowing pharmacists to provide more services is gaining momentum. – Earlier this month, Oregon Gov. Kate Brown signed a bill allowing women to receive birth control directly from their pharmacists as of Jan. 1. – California passed a similar law in 2013 that will take effect Oct. 1. – The British government pays pharmacists $40 for 10-minute medication counseling. However, Devon Herrick, a fellow who specializes in healthcare at the National Center for Policy Analysis, is not convinced that laws requiring insurance companies to reimburse pharmacists will catch on outside of Washington State. Insurers will likely oppose such measures because savings to the healthcare system do not directly translate to their bottom line. Advocates who push to expand pharmacists’ roles in other states will also have to face off against doctors who have long begrudged the idea that pharmacists should take on more responsibility.